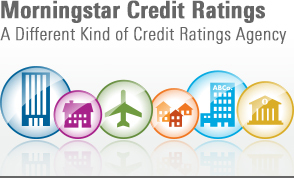 Morningstar's monthly Performance Summary report provides property-level performance information for all Morningstar-rated single-family rental transactions. The significant growth in mobile data usage forecast in the next several years is expected to fuel growth in wireless tower development. These underlying trends have driven the increase in securitizations of wireless tower leases. At Information Management Network's Green & SRI Investing Symposium on April 9, Joseph Lau, Managing Director at Lord Capital LLC led the Quickening the PACE panel, with a discussion on recent trends across R-PACE and C-PACE. Airline bankruptcies add new wrinkles for leasing companies, especially those that have tapped the securitization markets. Investors in such instruments should be aware of nuances related to jurisdiction and servicing issues in times of insolvency. A majority of publicly traded business development companies, or BDCs, are planning to take advantage of the opportunity to increase leverage presented by the changes to the Investment Company Act of 1940 that became effective in March 2018.